Old World Christmas Glass Ornament - "God Bless America"
Home > Old World Christmas - Traditional Glass Christmas Ornaments > Old World Christmas Glass Ornament - "God Bless America"
The United States of America is a country founded on Christian values. Since 1776 we have asked God to bless our country and guide us. The USA is known around the world as the land of opportunity. 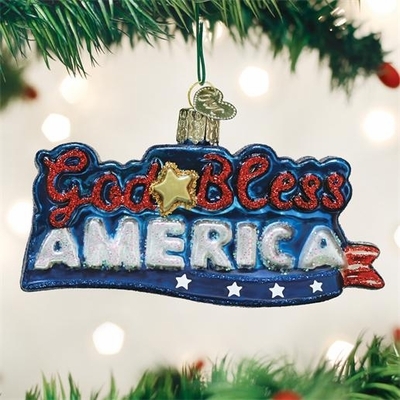 Show your pride in the red, white and blue and this great country with the God Bless America ornament.